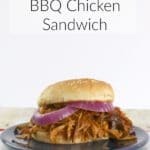 This recipe for Slow Cooker BBQ Chicken Sandwiches is one of the easiest crock pot recipes I’ve ever tried. 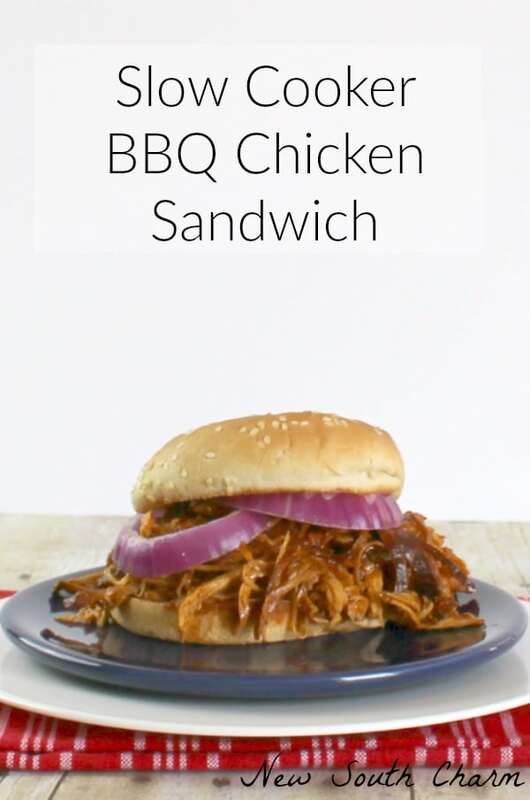 This is one of those great slow cooker recipes where you can just drop in the ingredients and walk away. Y’all know I love an easy recipe. I also love my crock pot. 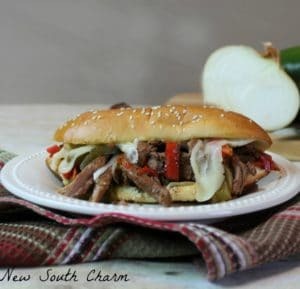 So if I find an easy recipe that I can make in my crock pot I just have to share it with you. I’ve made this recipe I couple time and it’s always good. If you want to skip on the extra calories in the bread you can serve chicken breasts whole and serve with a side of veggies. We love eating it this way too. Now I know that nothing is better than BBQ chicken right off the grill. But, these sandwiches are really good. 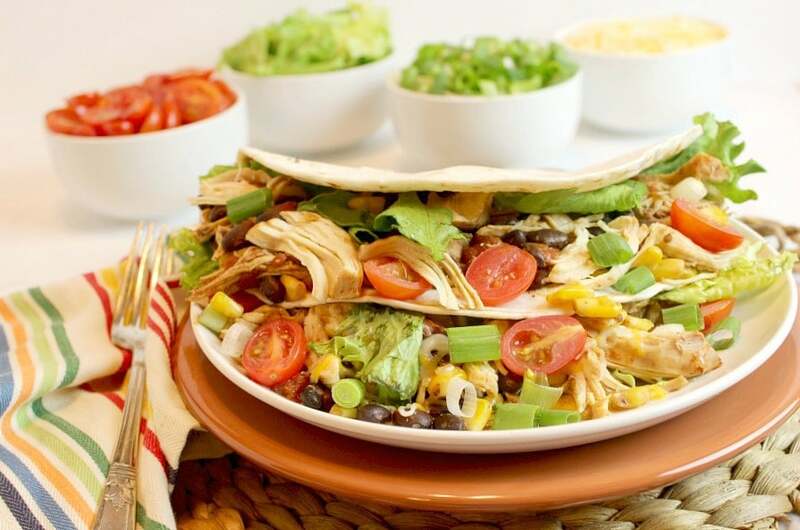 Because you are cooking the chicken slowly in the sauce they are tender and juicy. 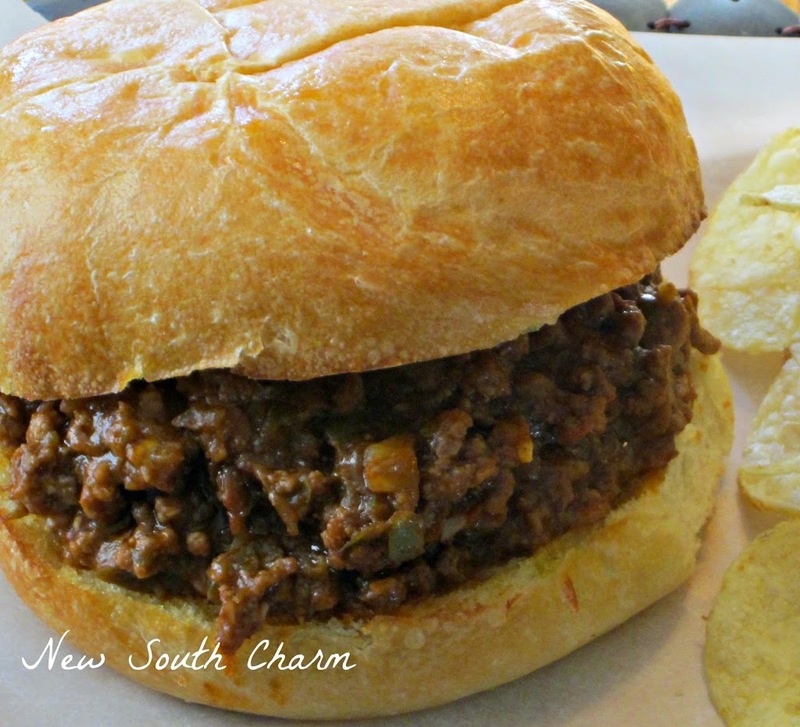 I like to add a small amount of spice to the sauce to give the sandwiches a little extra kick. If you don’t like spicy then you can omit the pepper flakes. Either way you’re going to love this recipe. Place the chicken breasts in the bottom of your slow cooker and season with salt and pepper. In a bowl mix together BBQ sauce, molasses, Worcestershire sauce, onion flakes, garlic, and red pepper flakes. Then cover and cook for six hours on low. When the cooking time ends remove chicken and shred. Return chicken to crock pot and stir until chicken is evenly covered in the sauce. Serve on toasted buns or dinner rolls. See I told y’all it was a really super easy recipe. 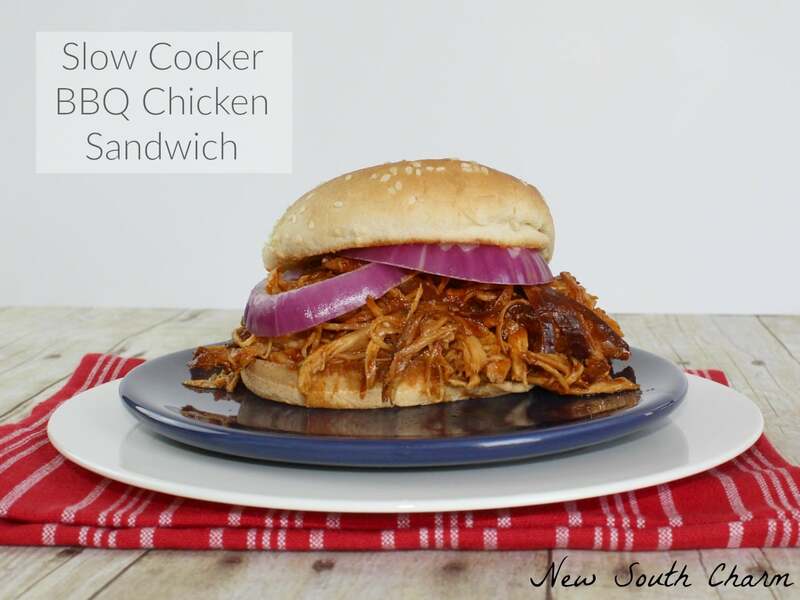 I just love easy recipes and my slow cooker too, Susanne, so this is the perfect recipe for me! What a great way to enjoy lovely barbecue flavours even when the weather isn’t great for barbecuing! Sharing! 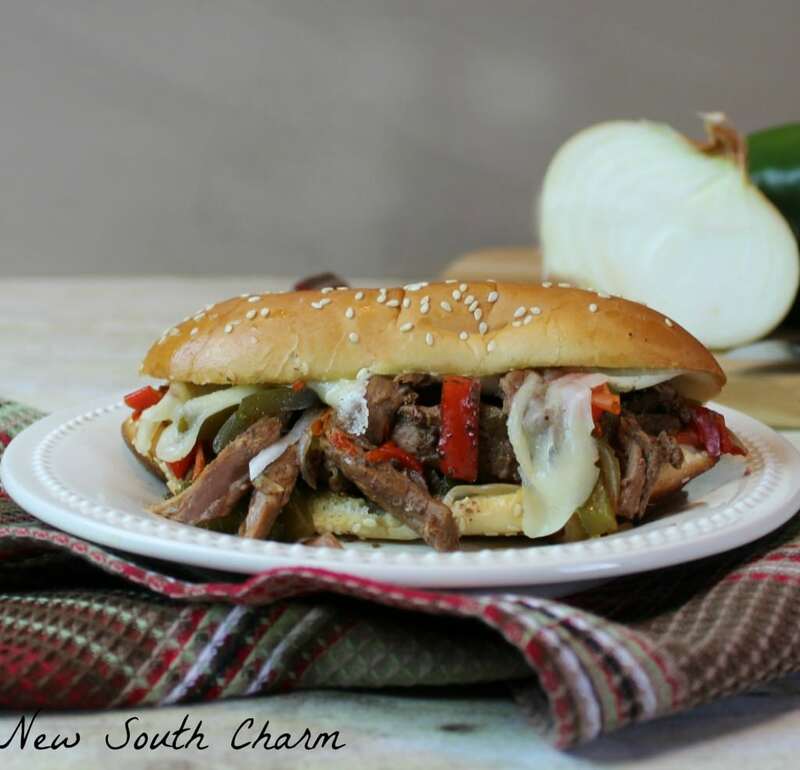 Thank you for sharing this recipe with us at the Hearth and Soul Hop. Thanks, April! It’s been so hot here lately I’ve been doing a lot of crock pot cooking! I hope you enjoy. Mollie I love this recipe because I don’t have to make the house hotter by turning on the stove or oven. Thanks for stopping by! Thanks so much! I hope you’ll try it and love it too! 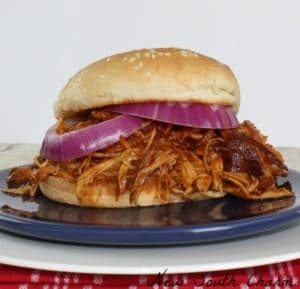 I love BBQ, and I like the idea of a slow cooker recipe. I can’t wait to try these. Thank you for sharing. These look and sound awesome! I love the crockpot! Thanks for sharing!